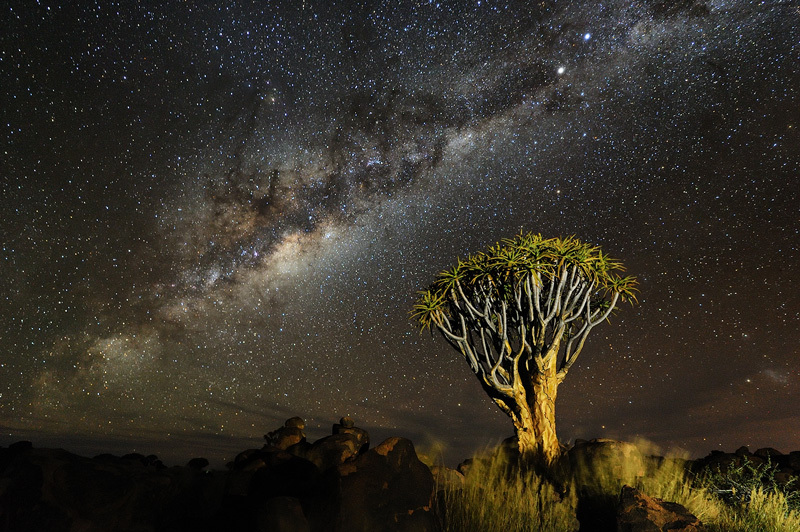 This is a still from one of the scenes of the award winning time lapse movie Namibian Nights. For this shot I first determined where the Milky Way was going to be in order to create a composition where the Milky Way would be a diagonal and not cut through the quiver tree. There are some clouds near the horizon that bothered me at first because I was worried that it might cloud over completely and thus ruin the time lapse, but fortunately it didn't. The sequence actually turned out very cool because of those very clouds.